We are veterans of conducting, designing and interpreting toxicity studies in juvenile rats and mice. As a result, our world-leading capabilities and experience are in a class of their own. 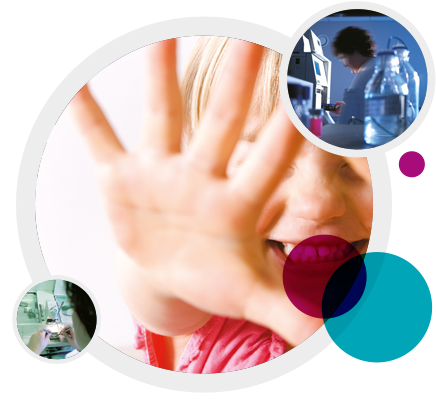 With more than 70 regulatory juvenile studies to our name, we are uniquely placed to provide authoritative, top quality scientific and practical support. Our specialist teams include a study director team cross-trained in reproduction and general toxicology, and a toxicology team that can advise on study design within the context of European and USA regulatory requirements. After more than a decade’s experience, we are particularly adept at pragmatic management and scheduling. This means that, whatever a study's scope, size and challenges, we have the skills and ability to ensure it runs smoothly and on-time. Our outstanding technical expertise includes oral gavage dosing in rats from Day 4 of age. We pioneered a unique cross-fostering approach which is applied for juvenile rodent studies, refining the quality of the data by increasing genetic diversity and reducing typical total animal usage by more than 65 %. In some instances, this approach can also decrease study initiation times. Research projects have been undertaken to develop the use of microsampling techniques to reduce animal use in juvenile rat and mouse studies. We have developed an extensive collection of comparative pathology data in juvenile rats at a range of ages, including scanned digital images for training and reference use. Our unique experience in comparative pathology enables us to provide informed advice regarding appropriate dosing age. Collaborative research is on-going leading to enhanced understanding of toxic effects in the developing juvenile rat brain.